The MWC didn’t bring a new Nokia PureView phone as some may have hoped, instead Nokia and HMD are starting with the mid-range and entry-level segments. We already saw what the Nokia 5 and 3310 (2017) cameras can do, now it’s time to put the Nokia 6 and Nokia 3 to the test. The Nokia 6 camera is built around a 16MP sensor with relatively small pixels - 1µm. The aperture is average at f/2.0, though you do get dual-LED flash and Phase Detection autofocus. When the Xiaomi Mi Mix came out with a 16MP 1µm f/2.0 camera, we were a tad disappointed. In the price range of the model 6, however, we think the specs are pretty solid. Here are ten camera samples for your enjoyment. We also shot a panorama, here's a look at that. On the front of the Nokia 6 - all three Nokias, in fact - is an 8MP selfie camera. It has slightly larger pixels (1.12µm) and the same f/2.0 aperture. It can record 1080p video, just like the main camera. 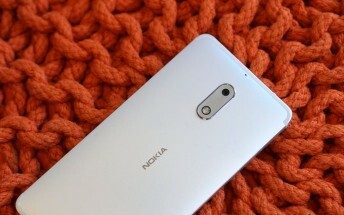 Yes, the Nokia 6 records 1080p video in MP4 files using the AVC codec. They are shot at a relatively high 20Mbps with stereo sound recorded at 96Kbps, 48kHz. The main camera of the Nokia 3 sounds like it is the exact same unit as the selfie camera - 8MP sensor with 1.12µm pixels behind an f/2.0 aperture. By the way, Nokia took almost all the software of the Google Pixel and loaded it on its phones. All but the camera, that is. Instead the Nokias use the AOSP camera, which means no HDR+. And then there's the selfie cam. The Nokia 3 somehow keeps the 3GP format alive. Luckily, video players and even YouTube had no issue with the outdated file format. The phone does top out at 720p resolution, though. It also uses a simpler codec and - at least according to our instrumentation - produces 32fps videos. The audio is recorded in stereo at 128Kbps.